The ultimate organic meatballs. A superlative blend of short-rib and chuck steak from West Country farms, hand-rolled in the Riverford butchery. We don’t add salt to the mix, as this breaks down the proteins and spoils the texture. 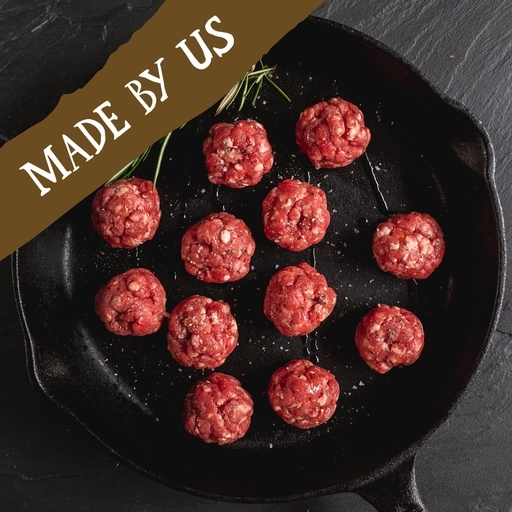 Instead, our meatballs are pure beef, for the tenderest, juiciest mouthful possible. 12 beef meatballs per pack.